The Council has received a grant funding offer of £14.68 million to speed up the building of 700 new homes across the borough. The Accelerated Construction grant from Homes England allows building work to begin more quickly at six housing sites in Ellesmere Port, Chester and Winsford to meet our residents’ demand for property. The Council has already secured the delivery of well over 900 new homes, 400 of which have been completed and the remainder are making good progress. If approved, this funding will support the delivery of another 700 homes to meet housing needs. 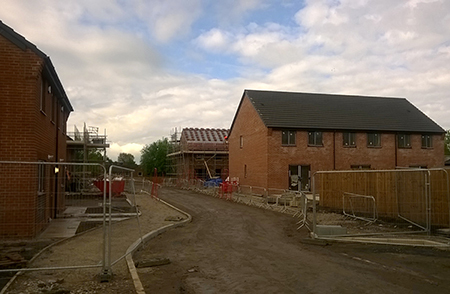 The Council will work in partnership with developers and housing associations to build and manage the new homes. At least 30 per cent of these properties will be affordable homes. Houses will be built for sale, for affordable rent, for shared ownership and there will be privately rented properties. Cllr Angela Claydon, Cabinet Member for Housing, said: “The Council’s Housing Strategy and corporate plan recognise the importance of good quality and affordable housing to meet the need of our diverse communities and also that housing is one of the basic needs to enable residents to live independent and healthy lives. land to the rear of Verdin Exchange in Winsford in Winsford, also identified in Winsford Neighbourhood Plan for residential development. Consultation on the sites will be brought forward through the planning process. The Council will work with partner developers and Housing Associations to develop, deliver and manage the new homes.